It wasn't what Michael Bloomberg said Wednesday night on the stage of the Democratic National Convention that was important to Silicon Valley. His speech was mostly generalities and attacks on Republican presidential nominee Donald Trump. It was Bloomberg's presence that was the message. Bloomberg is a strong and well-known champion for reducing barriers to highly skilled immigrants and for raising visa caps. He co-chairs the high-skilled immigration advocacy group, Partnership for a New American Economy with Disney CEO Bob Igner and other prominent business leaders. Disney laid off about 250 IT employees last year after hiring H-1B-using IT contractors. Bloomberg, a former mayor of New York City, often describes U.S. immigration policy as "national suicide" for its employment restrictions. That's in contrast to Trump, who wants H-1B restrictions to protect U.S. workers. In an open letter from some 150 Silicon Valley tech leaders, Trump was described as a "disaster for innovation." 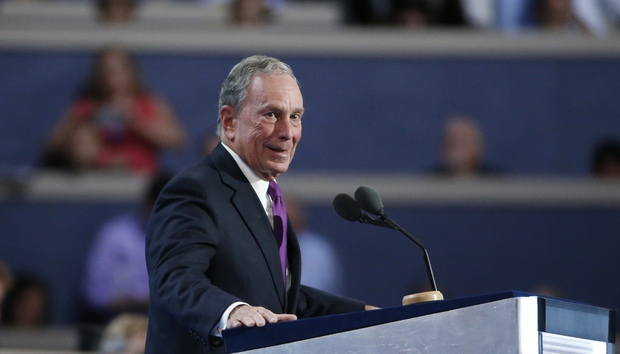 At the Democratic convention, Bloomberg didn't speak of policy specifics, but said "America is the greatest country on Earth — and when people vote with their feet, they come here." Another recent signal to Silicon Valley on immigration was Hillary Clinton's running mate pick, U.S. Sen. Tim Kaine (D-Va.). Kaine supported legislation in 2013 to increase the H-1B base cap from 65,000 to 115,000, and then potentially up to 300,000 under the I-Squared Act. Trump's running mate, Indiana Gov. Mike Pence, also supported an H-1B cap increase while serving in the U.S. House of Representatives. Trump, meanwhile, took part on Wednesday in an "Ask Me Anything" thread on Reddit . Responding to a question about the H-1B visa, Trump referred the questioner to his immigration plan, which includes a hire-an-American-worker-first provision and calls for an increase in prevailing wages. Where Trump seems to draw controversy is whether he supports a green card plan similar to Clinton's "Staple a Green Card" plan, which would make permanent residency nearly automatic for STEM advanced-degree graduates. In his immigration plan, Trump calls for a "pause" in issuing employment-based green cards. However, commenter "Kyle Lyles" on a recent Computerworld analysis of the two candidates immigration positions, pointed out that Trump has also tweeted the opposite. Last August, Trump tweeted back to back: "When foreigners attend our great colleges & want to stay in the U.S., they should not be thrown out of our country," and "I want talented people to come into this country—to work hard and to become citizens. Silicon Valley needs engineers, etc." Norm Matloff, a computer science professor at the University of California at Davis, wrote this week on his blog that Trump and Clinton "actually agree" on the staple green card plan. The prospect of unrestricted employment-based green cards is worrisome to critics. They believe it will prompt fast-track graduate programs aimed at foreign workers, flood the market with young workers, discourage U.S. students from entering these programs, squeeze out older workers and drive down wages generally.